What's Up at Southeastern is a biweekly newsletter sent to all students with information on upcoming events, experiences and opportunities on campus. You may submit content for consideration for inclusion in an upcoming issue. See the Submission Guidelines. This is a special edition of What's Up focused on sustainability. Green is more than one of Southeastern’s school colors. It’s an appreciation for the environment intertwined throughout programs and processes across campus. And, it’s being embraced by more and more members of the Southeastern family every day. Whether individual efforts or large-scale projects, there are a myriad of opportunities available for students, faculty, staff and the community at-large to contribute. In this special issue of What’s Up, we offer a brief look at sustainability initiatives on campus, along with tips for making Southeastern greener. If this email doesn't show up correctly, view it in your browser here. 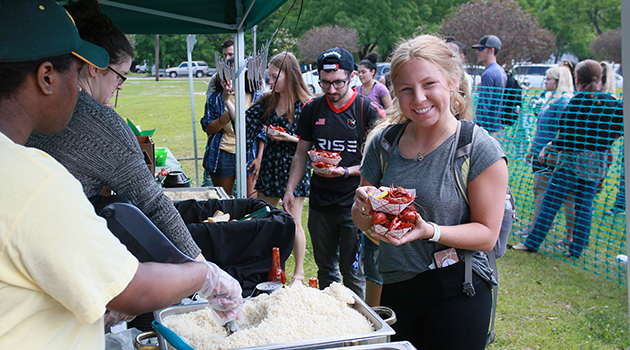 On Wednesday from 11 am to 2 pm, CAB is hosting Strawberry Jubilee at Student Union Park and an organizational browse, games, giveaways, and more in the breezeway. Reconnect Farmer’s Market is outside the Student Union. 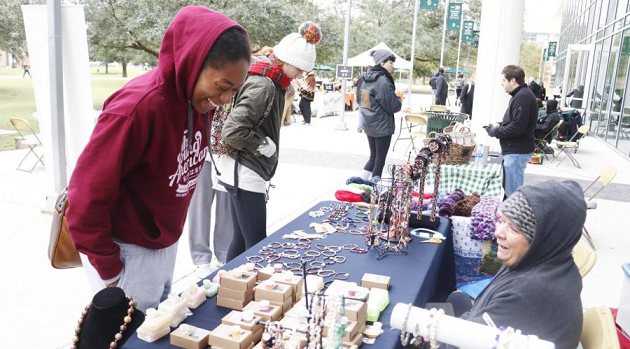 And, near the Katrina Fountain, Southeastern’s Green Team is hosting an Earth Day celebration featuring campus and community groups such as Keep Hammond Beautiful and the Sierra Club. 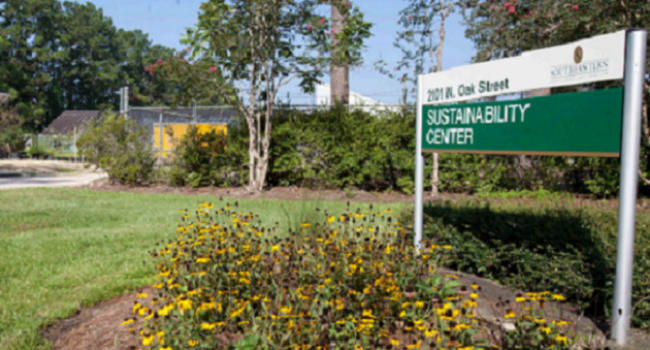 The Sustainability Center was created, as part of the Physical Plant, to help save operating dollars and reduce waste that was going to landfills, while at the same time providing a valuable learning experience for students. This state-of-the-art outreach center is designed to introduce sustainable initiatives such as geothermal heating and cooling system, solar thermal panels, solar photovoltaic panels, wind turbine, biomass electrical generator, and water reclamation ponds. Turtle Cove Environmental Research Station is a field research and educational outreach facility located in the Lake Pontchartrain estuarine ecosystem at Manchac. Turtle Cove ERS provides education and outreach activities to students, teachers, and community members with the goal of preserving the current wetland ecology and for future wetland restoration. 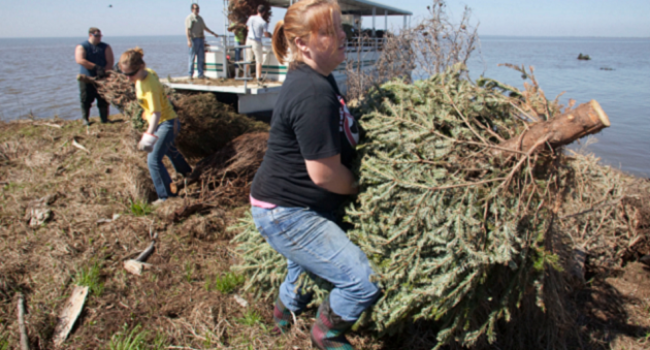 For the past 24 years, Southeastern's annual Christmas tree recycling program has collected an estimated 40,000 trees that have been deployed into the Manchac marsh. 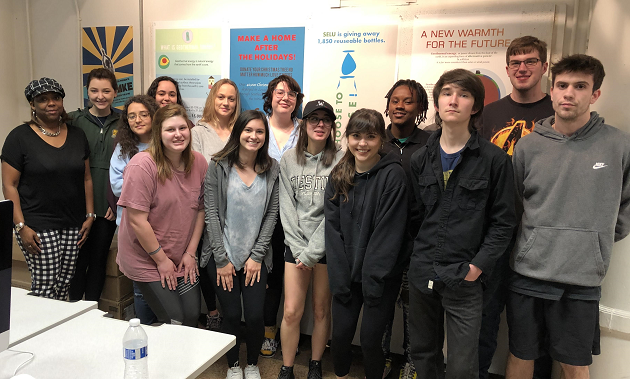 Reconnect, a student organization focused on environmental sustainability, has long been a leader in campus green initiatives, including Louisiana’s largest student-run farmer’s market. Reconnect also operates a Community Garden, located behind the Sustainability Center. The garden, which is funded by SGA, allows students to grow their own food such as carrots and spinach. The goal is to increase production of garden produce in order to supply the university food pantry. 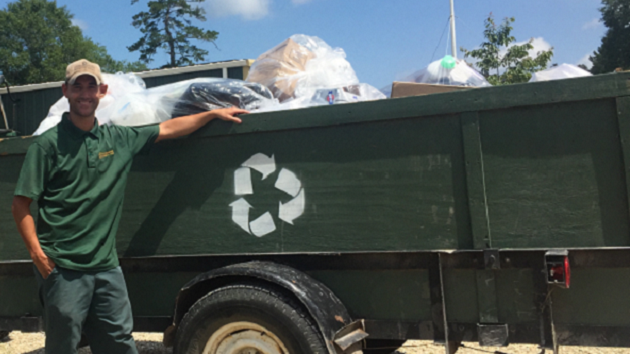 Since beginning single-stream recycling in 2012, Southeastern has recycled 255.94 tons of paper, plastics and metal cans. 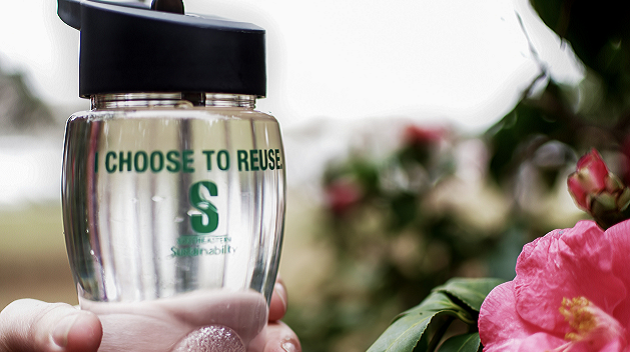 If you have used the new water-filling stations on campus, you are part of a new #IChooseToReuse campaign to help reduce single use plastic bottles. These filling stations have already made a huge impact on plastic bottle reduction on campus. Dining Services is an important partner in campus sustainability initiatives. 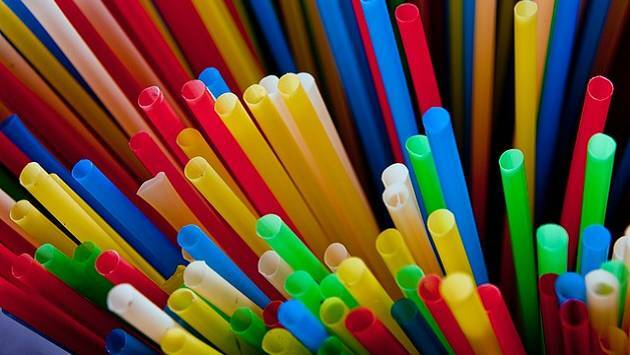 Mane Dish began a Sip Smarter "Skip the Straw" campaign to reduce the amount of plastic straws and single use plastics. 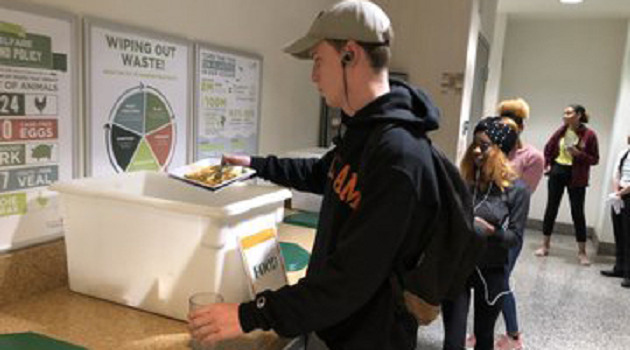 On April 2, Dining Services hosted Weigh the Waste day to measure all the discarded food and trash during the lunch hours. That day, wasted food totalled 272 lbs, plus 105 lbs of paper and plastic. 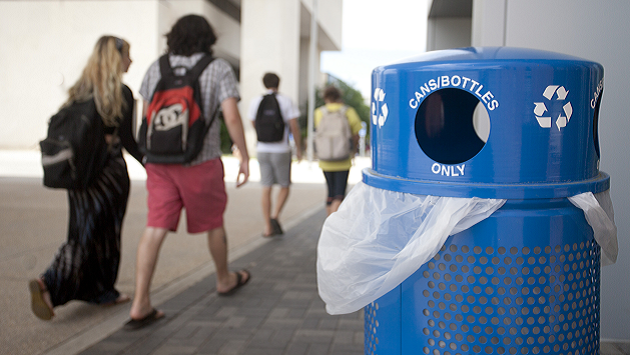 Dining Services continues to find ways to make our campus more eco-friendly. Future initiatives include making sure oil is recycled by a local vendor, efficiently managing food waste, and reducing plastic bottle purchases on campus. At Sims Library, you can visit two exhibits and an online guide as you celebrate Earth Day. On the first floor, designs of Freshman art students in Tasheka Arceneaux-Sutton’s ART 160 class are on exhibit. The student designers created posters to help illustrate Southeastern’s sustainability story. 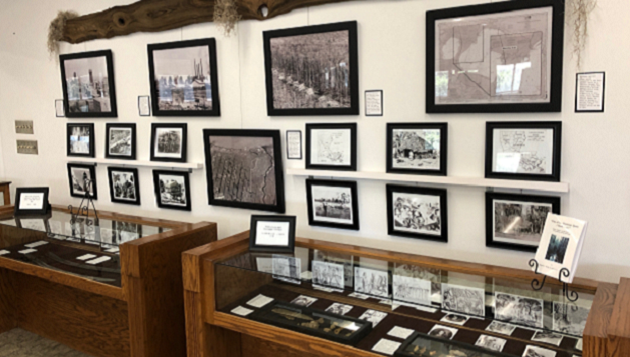 On the third floor, don’t miss the permanent exhibit that illustrates the history of Manchac and Turtle Cove. 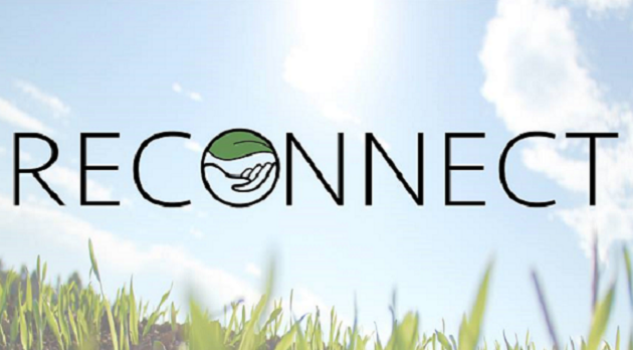 Finally, the Library has an online guide to connect students to information about Southeastern’s Green initiatives, including books, videos, and links to groups and local resources. 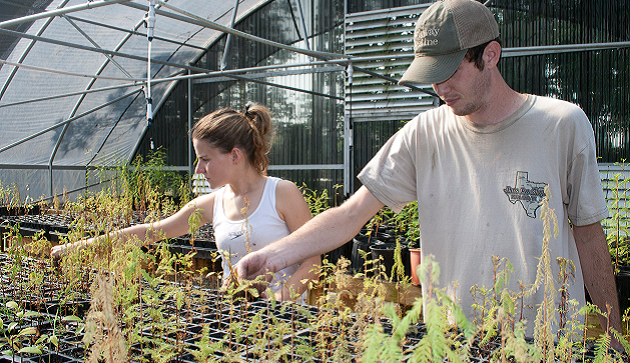 Southeastern’s Physical Plant is committed to conserving resources and reducing the impact we have on the environment. 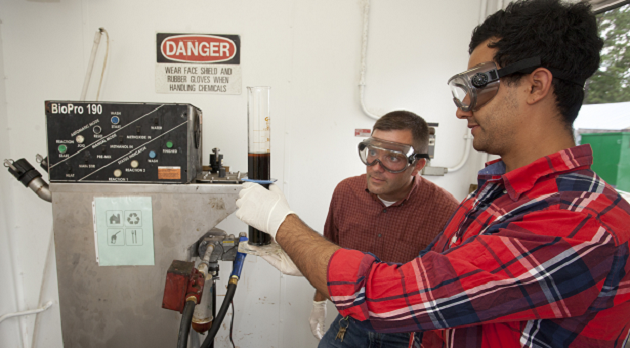 They are making campus greener by encouraging recycling on campus, using alternative fuel and energy sources such as geothermal, solar, and biomass. Ascension Hall and Twelve Oaks Hall, the two newest residence halls, have geothermal heat pumps that use the earth as a heat source in the winter and as a heat storage source in the summer. The hybrid geothermal system has 220 underground wells that will reduce energy costs by more than 50 percent. 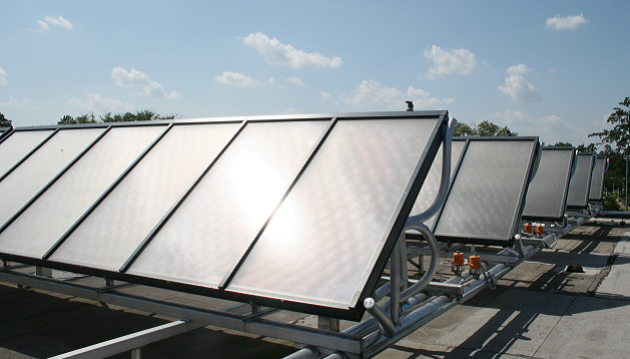 In the Kinesiology and Health Sciences Building, an innovative solar thermal system uses heat from the sun to warm water for the the indoor pool and supply water for the Nursing Department located next door. 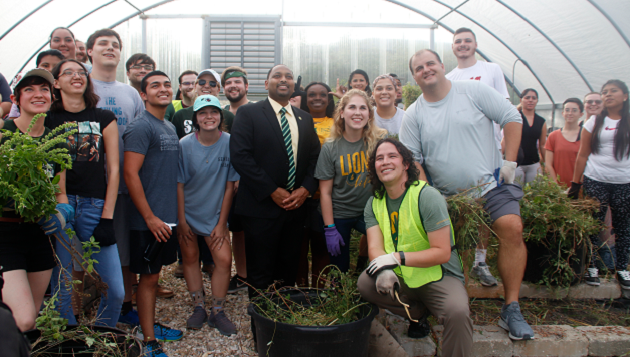 There are many things students can do to support Southeastern’s sustainability initiatives. The first step is getting informed. 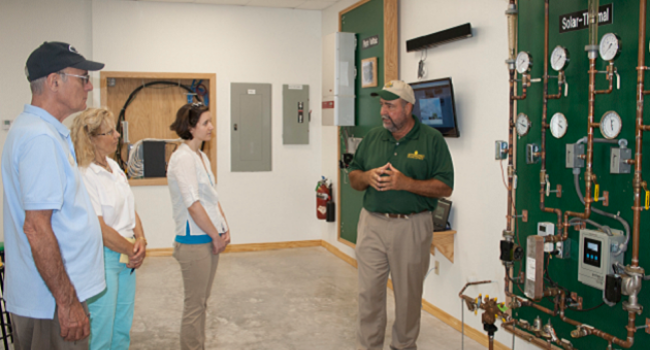 Take time to learn about Southeastern’s innovative projects and tour the Sustainability Center. Access the Library’s online guide and visit the two exhibits. 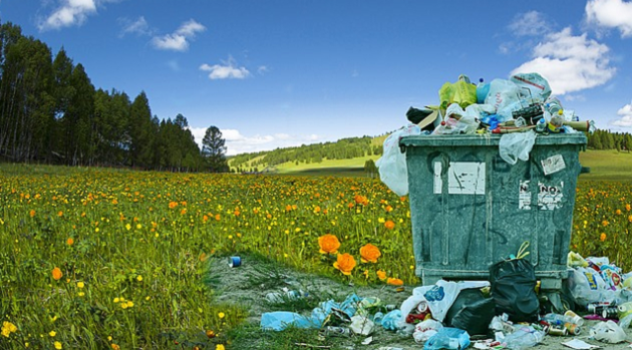 Finally, reduce waste in every way you can from food and water to energy consumption. Let's get MUDDY! 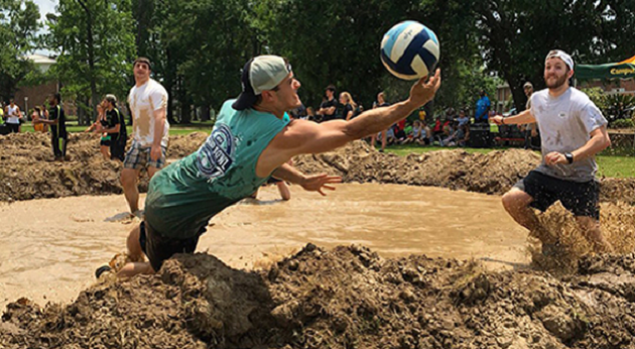 It's time for our annual mud volleyball tournament and for Housing's annual Fais Do Do crawfish boil. We'll have games and music for the spectators as well. If you're graduating or moving to a new place, don't trash your stuff. Take it to the City of Hammond's 25th annual Recycling Day. They accept household items only such as old computers, phones, stereos, tires, lightbulbs, batteries, paint, and other items for safe disposal and recycling. The Southeastern ring has been a tradition for nearly a decade, signifying the accomplishment of your degree as well as your commitment to the university. 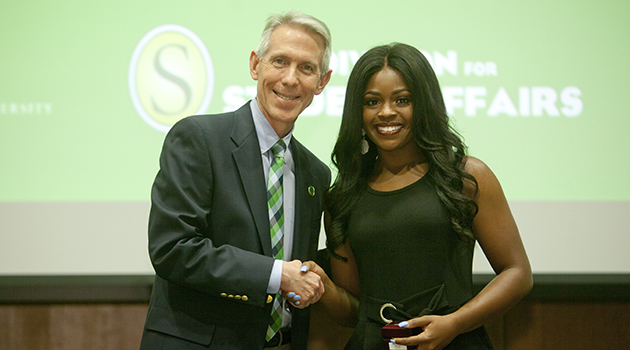 Each semester, the Alumni Association hosts a Ring Ceremony to present the Southeastern ring to participating students and alumni. CAB is providing soil, seeds, and pots for students to plant their own flower. 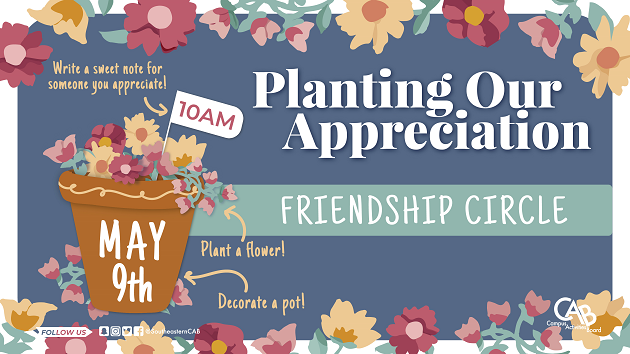 There will also be cards and envelopes available to write on/sign and then give to someone they appreciate in their life.